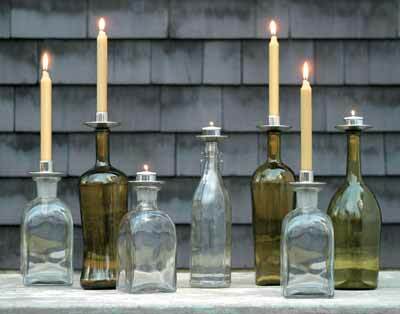 Simply drop the metal holder into any bottle and add a candle. Comes in two styles - tealight and taper. Available in bronze or pewter color.